His comment reveals something profound about the way we view disabilities in this country: Disability is seen as a private matter, a personal problem that a disabled individual struggles to negotiate in a world of “normal” people, rather than a social or political issue. From a very young age, Adam intuited that it would be better for him to obscure his ailment than report it, risking the marginalization that might result. Hiding it until he physically couldn’t seemed the best way to protect his normality. As he grew and became a man, fully capable of expressing himself in the world, his resolve to keep quiet was only strengthened. Though his physical symptoms had been manifesting for years, they became a “condition” only when others were aware of them, at which point he began to get a complex emotional bundle of pity, sympathy and fear from friends and family. 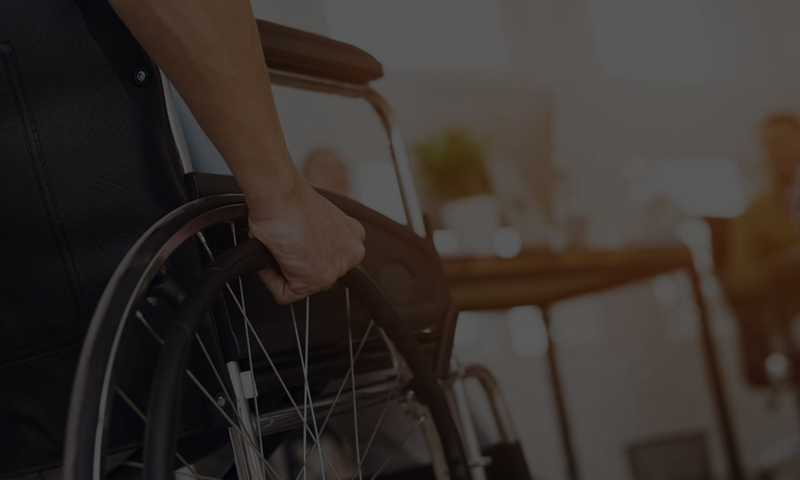 to offer a more inclusive expression that recognizes the diverse spectrum of disabilities, allowing individuals who are able-bodied to identify with the reality that disability affects us all. The term forces able-bodied people to put aside our own fears of becoming disabled, and focus on that which unites rather than separates us as people with a range of experiences and aspirations who face innumerable challenges. You can read more about temporarily abled bodied here.